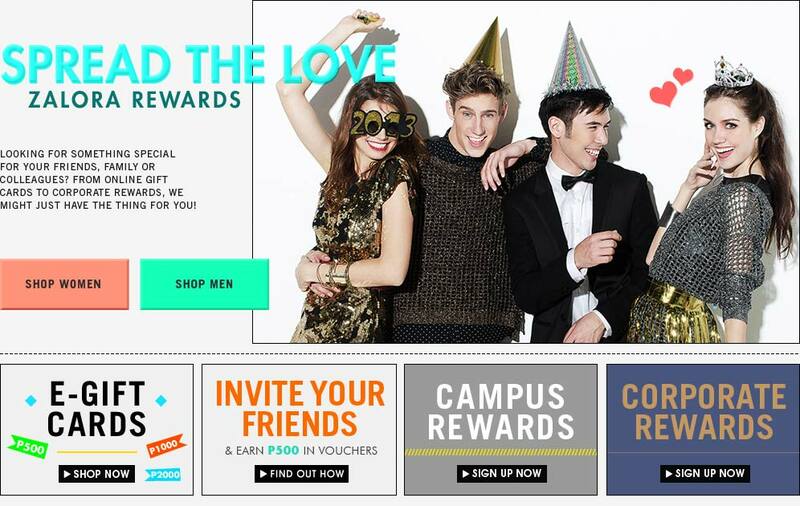 Here is an exciting and truly rewarding loyalty program from ZALORA PH! As a way of giving back to its loyal customers, www.zalora.com.ph is launching its very own rewards program aimed at giving customers and their friends or co workers more great deals and even bigger discounts. Just by shopping online and signing up the rewards program, you’ll be stepping into a world of great freebies, discounts and deals on a wide range of products. This generous invite-a-friend referral program is truly unique to Zalora. There is no limit to the number of friends you can invite. For each referral, your friend will receive a PHP500 voucher to get her started on shopping for whatever item he or she may want from the site. Once your referral completes the purchase, you will also receive a PHP500 voucher, it’s as easy as that. Obviously, the more referrals you make, the more shopping money you accumulate. Just be sure that the friend you refer is not yet a Zalora member. Spread the love and reap the rewards. Like minded individuals will surely love this rewards program. You can sign up your company or your school so everyone gets a ten percent discount whenever they purchase something from Zalora PH. If you ladies love shopping together, this is a great reason to all sign up! The 10 percent discount will be extended to each and every employee of your company. Zalora will be getting in touch with your Human Resource or Personnel Manager to get the necessary employee information. For the campus reward program, Zalora will be sending your school the discount code and this can be shared by everyone on campus. No doubt, you will be the hippest and trendiest students on the block!